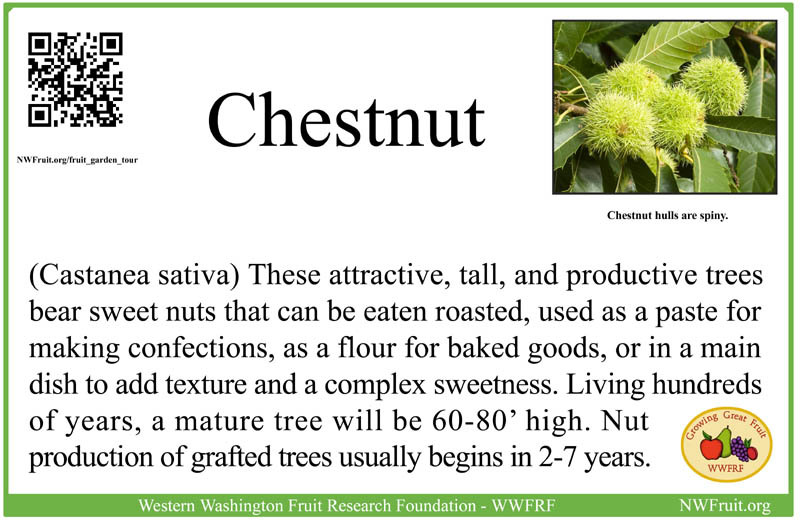 Castanea sativa is often called European , Spanish, or Sweet Chestnut. In fertile soil it will grow 4-6 feet a year for 2-8 years, but it also tolerates sandy soil. Requires well drained soil with a pH range from 4.9-6.8. Best in full sun. Nutritionally very similar to wheat but without gluten, so baked goods made with the flour are crumbly. In the past chestnuts have been a staple food in many areas and they are still important in some parts of Europe. Here are some recipes for chestnuts.